On April 1st, 2009, one of the greatest books in the history of English Literature was massacred – literally. Jane Austen (one of the greatest authors in the history of English Literature)’s immortal Pride & Prejudice, was mashed up with zombies. That’s right; Longbourn, Netherfields and Pemberly have all become infested with zombies. And for some (most notably guys), it works. For others, it doesn’t. TIME magazine listed the mash up as one of the top five worst inventions of the year. 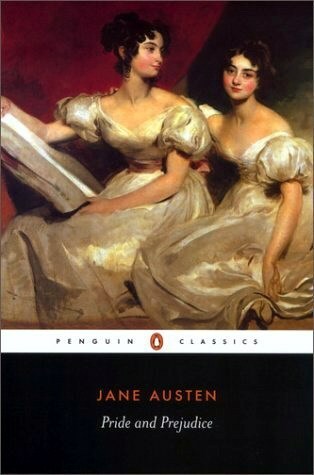 One possible reason for their decision could be that it is somewhat jarring when the some of the beautiful and eloquent paragraphs originally by Jane Austen is summarized in a straightforward and modern way (perhaps to save space) making the book rather choppy at times. In Pride & Prejudice & Zombies, it is early 1800’s and a mysterious plague has spread all over England. This plague transforms the victim into a brain hungry zombie and unfortunately no one knows where it came from or how to destroy it. But never fear, the dashing Mr. Darcy is here to defend his country, as is our beloved heroine Elizabeth Bennet. When Elizabeth and Darcy first meet, she is about to slit his throat – but when she attempts to, zombies break into Netherfields and start feasting on the brains of the unfortunate people near them. But when he saves her sister Lydia (who though is a brilliant warrior is still as air headed as ever) from the disgrace of running away from the deceptively charming Mr. Wickham by disabling him for life, Elizabeth warms up to him. 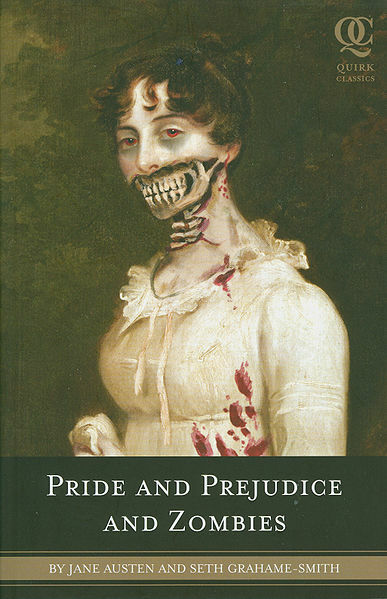 Despite its cover, Pride & Prejudice & Zombies is not as gory as one may think. In fact, the grossest part for me was when Elizabeth bites into the still-beating heart of one of Lady Catharine’s ninjas. However, throughout the book, various background characters do get killed off, starting with an abrupt murder of Mrs. Long in the beginning. Fortunately, none of the main characters get killed off. Unfortunately, one of the main characters is Mrs. Bennet, who despite the plague is not at all less determined in the least to get her daughters married off. Pride & Prejudice & Zombies is a unique blend of the original Pride & Prejudice and new chunks (I feel it’s appropriate to use that here) of zombies, occasional cannibalism, ninjas, and ultra-violent mayhem. If you have always intended to, but have not yet read the original, I strongly suggest reading it first before reading And Zombies. However, if you never intended to read the original then you may get a chuckle out of And Zombies, because the gory(ish) zombie parts certainly liven things up.